← Should You Focus More on Facebook or Your Website? 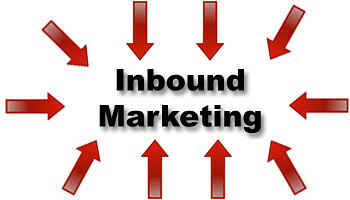 Since being launched in January 2012, Inbound.org has quickly become a very popular website in the Internet marketing community. The site already has a PR5, which is quite impressive for a website four months old. The website, which is identified as a “for-fun partnership”, was brought about by Rand Fishkin of SEOMoz and Dharmesh Shah of Hubspot. It allows users to share, comment, and vote for their favorite “inbound” marketing content, which can include social media, blogging, conversion rate optimization, SEO, which is the most popular topic on the site, and other topics. Inbound.org acts like an aggregator, but offers much more. The content on the site, which is solely submitted by users logged in with their Twitter accounts, includes written articles, fun visuals, infographics, and video. The site is very minimalist in its design and does not show any snippets of the articles. Its competitors include Hacker News and the many other resources online to get Internet marketing news and information. On the site, Inbound.org just displays a list of articles, which include the title, the website or origin, who submitted the article, a link to make or read comments, a flag option, the amount of time since submitted, and the number of “upvotes”. The articles are primarily divided into two sections with different pages: “incoming” which are the new articles submitted and the home page, which has the “hot articles”. An article can be on both pages. Articles can also be found on the individual category pages and through the archives the sites provides. If you submit an article that has already been submitted, your submission will count as an upvote, no duplicate submissions are allowed. You can also easily search the site. With most days hundreds of articles submitted, receiving votes on Inbound.org and earning a place on the “hot articles” home page is no easy task. Being a known quantity and having a pre-established following can really boost your popularity on Inbound.org. For example, virtually any post published by SEOMoz.org blog, will make the home page, regardless of the quality of the article. #2. Write About the Buzzword Topics of the Day. With inbound.org, you definitely want to strike while the iron is hot. Whether it is the Facebook IPO, negative SEO, Matt Cutts, information from SEO “experts”, large amounts of money, agencies buying links, SEO outing, or the latest Google update, these topics tend to be of greater interest. But it helps to be popular and offer something new to the discussion. The title of your article is also key in generating interest. People love a good laugh, especially when it comes at the expense of Google. 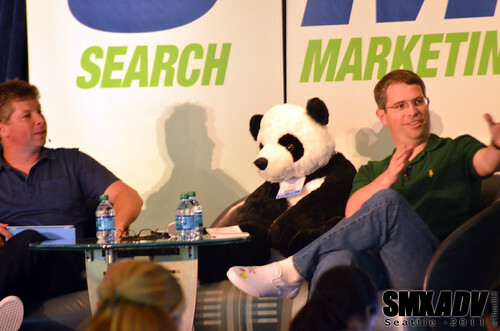 For example, this funny mash-up video of Matt Cutts received a very impressive 79 upvotes to date. Humorous memes can also quickly become popular and are easily shared. #4. Provide a Case Study. One of the things about SEO is that a lot of people don’t usually share a lot of the specifics of how they achieve success or failure. If you can do this in a way that people enjoy reading and tell an interesting and informative story, it can lead to big success. Sometimes, it helps if you’re a company that has access to interesting data, as in the case with this Microsite Masters post, which combined this aspect with a Google update. #5. Write About the Past. People love to get nostalgic. We can learn a lot by looking back at how things have progressed over time and have some fun while doing it. Posts that have pictures looking back at how things once were, can generate a lot of interest. There are other ways to become popular on Inbound.org. Of course, quality counts but there are a lot of high quality pieces of content that never get a second upvote. A good rant, particularly with a title with an expletive, could give you a better chance. Having a combination of these winning elements can give you the best chance. Other times popular on Inbound.org is just luck and good timing favoring the prepared mind. Also, it never hurts to simply ask people for a vote. So please vote for us on Inbound.org! Great tips. Will follow next time.